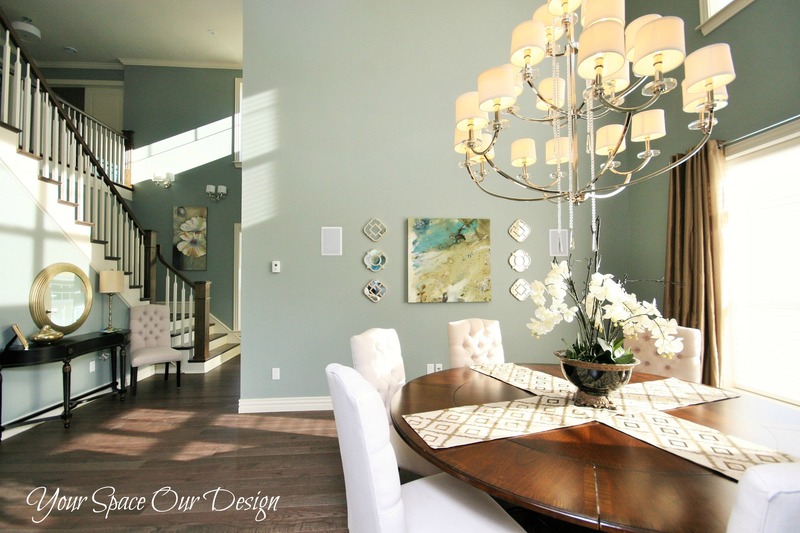 This dining room was a dream to design! We chose an oversized chandelier to accentuate the height of the space and make for a great dining experience. A large round table with tufted chairs highlights this grand space, not to be overshadowed by a pretty vignette by the staircase!